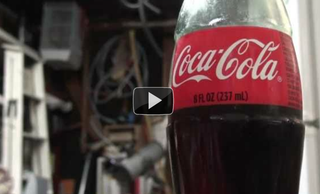 The narration is husky and the instructions sound: why toss that glass Coke bottle into the trash (or recycling bin! ), when you're a few modifications away from a retro-tastic plant waterer? Beats an Aqua Globe, anyway.